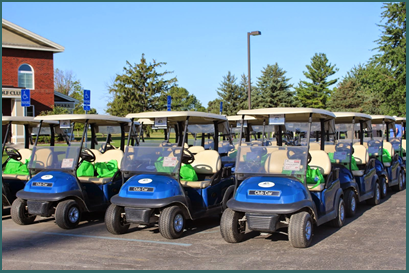 Each year, the MARSP Foundation hosts two golf outings to raise funds for the MARSP Foundation Scholarship Fund. One outing is held in the Upper Peninsula in June and the other in Central Michigan in August. The MARSP Foundation Board determined in 1995 that one area of education in which there seemed to be a void was financial assistance for public school employees. “Some time ago I enthusiastic-ally supported the idea that the Foundation provide scholarships to working members of the retirement system who wanted to improve their position in the workforce through continuing education,” said Foundation Past Chairman Richard J. Smith. The first scholarships were awarded in 1996. Scholarships are available for all public school employees, no matter what their current position, as long as they are furthering their education in an area that will be beneficial to working in the public school arena. To date, the MARSP Foundation has awarded over 100 scholarships, totaling over $75,000 in amounts ranging from $300 to $1000.